If you or someone you love has suffered from an injury or condition that was caused by a medical professional or team of professionals, you may be able to take legal action. Contacting a Philadelphia medical malpractice lawyer as soon as possible after the incident occurred will ensure your rights are protected and may give you an opportunity to potentially receive compensation that can open doors to additional recovery and treatment options. A lawyer from Shrager & Sachs may be able to file a medical malpractice claim on you and your family’s behalf against the responsible doctor, nurse, technician, surgeon, anesthesiologist, or medical team that was responsible for the mistake or act of wrongdoing which resulted in harm. Medical professionals have a legal duty to act within specific standards of care. When these standards aren’t upheld, those responsible can be held accountable for injuries that were caused. By discussing your legal options and future with an experienced injury lawyer, you can protect your rights as well as other patients and their families who may become harmed in the same way. When hospitals and medical facilities understand that their mistakes have legal ramifications, they may act to swiftly remedy poor hiring, staffing, and training procedures and policies which may have fully or partially caused the incident of malpractice. An issue of hospital understaffing, for example, may be finally resolved when evidence is shown that it can lead to patient neglect. Residents of Pennsylvania should be able to trust that their health and safety will be prioritized when they visit a hospital, clinic, or doctor’s office. Filing a legal claim when preventable errors happen ensures our health and wellbeing are of the greatest importance to those in charge of our state’s hospitals and the entire healthcare industry. The term “medical malpractice” is defined as any act or omission of care by a physician or other medical professional during treatment of a patient that deviates from accepted standards of practice which results in harm. For a mistake to be determined as malpractice, injury or harm of some type must have been present in addition to the negligent action or inaction that led to injury. Instances of medical negligence can vary widely and encompass all medical practices and fields of care. Our medical malpractice lawyers in Philadelphia have the required expertise and knowledge to represent clients in cases involving all types of preventable mistakes that result in lasting damage, including errors made in the operating room such as surgical errors and mistakes involving anesthesia, E.R. mistakes and cases of delayed emergency care, misdiagnoses and delayed diagnoses which result in harm, medication errors, and birth injuries. Mistakes like these can result in permanent harm, disfigurement, scarring, long-lasting conditions which may require lifelong care and treatment, and possibly even death. When an initial mistake that causes harm of this nature can been prevented by better shift/staffing policies, improved hiring policies, or an improved system of examining test or x-ray results, medical facilities need to act accordingly and make the necessary changes to stop malpractice in its tracks. If you’re unsure if your circumstances fit into any of the above examples or question whether your case was an instance of negligence, we encourage you to get in touch with our personal injury lawyers as soon as possible. Our legal team has over 80 combined years of experience in all areas of medical malpractice, and our case results speak for themselves. We’re happy to speak to you about your situation at no cost to you and help you decide if hiring us for representation is in your family’s best interest. 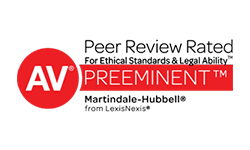 Our Philadelphia medical malpractice lawyers obtained an $8-million settlement for a woman who was diagnosed with a suspected brain arteriovenous malformation. She was referred to a neurosurgeon who failed to identify the malformation after delaying a crucial study which resulted in a brain rupture. Our lawyer negotiated a $5.44-million settlement for a man paralyzed from the chest down following an accident with a water tank truck. The driver of the fracking truck hit the plaintiff who was a passenger in another vehicle. The truck was also improperly overweight at the time of the crash. Our attorney led the legal team representing a girl who was severely injured during labor and delivery. Her mother, after a delayed gestation period, was left for hours in labor without emergency care or monitoring. The child was deprived of oxygen for more than 20 minutes, causing permanent damage. We assembled experts from around the country to settle one of the largest medical malpractice settlements ever in Berks County, Pennsylvania. The settlement was for a 21-year-old who had to undergo brain surgery and suffered from a stroke and permanent brain damage due to negligence. At Shrager & Sachs, we’re committed to providing our expertise in a wide range of legal areas. Our personal injury lawyers cover multiple types of injury claims in addition to medical malpractice. If you have been hurt or suffered in an accident in Pennsylvania that was caused by negligence or reckless actions of some type—whether the accident was a car wreck, truck accident, slip and fall accident, or an instance of legal malpractice or nursing home abuse—our lawyers are prepared to assist with your case. As leaders in the legal profession, we go above and beyond many other law firms and have represented clients for some of the largest cases in Philadelphia and Central PA. We’ve handled claims from all four corners of the state of Pennsylvania and investigate every client’s story thoroughly—ensuring that no stones are left unturned and that no vital evidence or testimony is missed. With over 80 combined years in the legal profession, we understand what it takes to fight a complex trial and how to succeed. Our goal is to discover the root of negligence in every case we accept and find out why that negligence happened—and how. We dig deep. We uncover answers. Our trial lawyers aren’t afraid to ask the questions others may hesitate to ask of hospitals, nursing homes, and other major corporations. There’s no room for negligence in any sector of public or private healthcare, safety, or caregiving. When you come to us, we understand that you’re placing your trust in us during your most dire time of need. We never take this trust for granted. You’ll always receive nothing but our best. Don't Wait to Get The Help You Need! Contact Our Team Today for a Free Consultation. Our lawyers have previous experience as defense attorneys and are intimately familiar with how doctors, insurance companies, hospitals, and nursing homes defend claims brought forth by patients, residents, and consumers. This perspective gives us a unique advantage when facing the opposition. When it comes to serving our clients, we do not hesitate to go where the negligence or wrongdoing happened to best investigate a case, locate physical evidence, and personally speak to anyone who was involved. We work hard to maximize our chances of a favorable outcome for every client. Historically, we've taken on and succeeded with cases other law firms have turned down due to the simple fact that we don’t stop investigating a case at its surface. We peel back as many layers as possible to understand how the negligence occurred and why—which often uncovers required evidence. 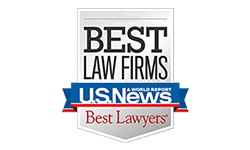 Known as the "Philadelphia Law Firm"
Attorneys nationwide contact us when they're in need of a reputable team of Philadelphia lawyers because we're referred to as “The Philadelphia law firm”. Our reputation precedes us, and we’re not satisfied with any client experience that is less than exceptional. Our team has been elected by our peers to serve as leaders in major legal organizations across the nation. 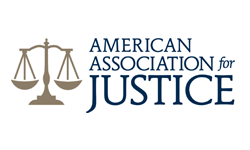 David Shrager, founder, served as President of the American Trial Lawyers Association (now American Association for Justice), and Rob Sachs has been a leader in multiple organizations. With over 80 combined years of experience fighting for clients and winning cases against hospitals, nursing homes, insurers, and other major corporations, we have the resources and expertise required to succeed in complicated matters of litigation many firms may hesitate to take on. When Robert L. Sachs, Jr., Managing Partner of Shrager & Sachs, first meets with a new client, he tells them that he strives to always be mindful when speaking with the client and their family about their situation. He does this because he understands that when a potential client comes to him, they are approaching him with the most important legal matter they’ll likely ever face. For a family suffering after an instance of wrongful injury or neglect, they may be facing the direst situation they’ll ever experience. What does this translate to? For Mr. Sachs, this means he handles every client as though they are family. Trust, respect, and communication are paramount to every case he handles—and every case we handle at Shrager & Sachs. Our clients can find out and understand the statuses and strategies of their claims whenever they need to. We make this possible by encouraging clients to contact us using their preferred method of contact at any time. We strive to always be open, honest, and communicative with our clients. We’re here for you and your loved ones. 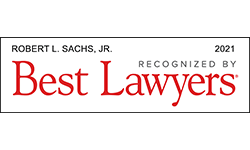 Mr. Sachs makes it his goal to personally be there for his clients because he understands that a family’s legal matters are more than just a folder to place in a file at the end of the day. Behind every case is a person or people who have been legally wronged or harmed by an individual, corporation, hospital, or other institution. Those who have suffered may feel like the U.S. legal system has failed them. We’re here to reverse that and make things right. The United States civil justice system exists for cases like this—and yours.